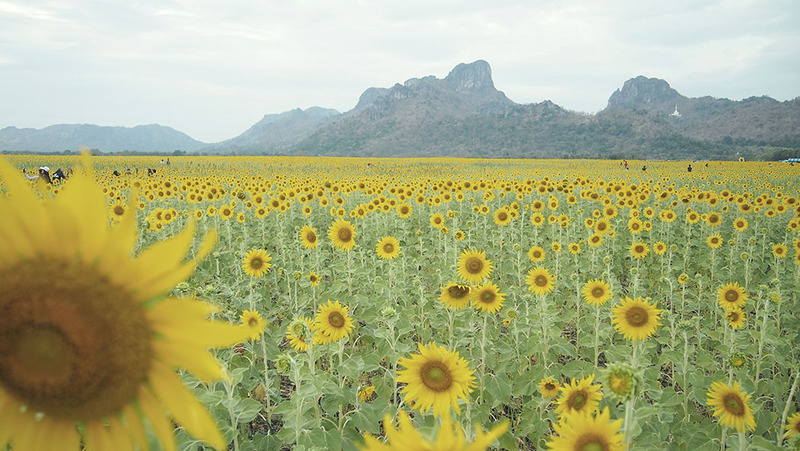 Panoramic Sunflower Fields of Lopburi. 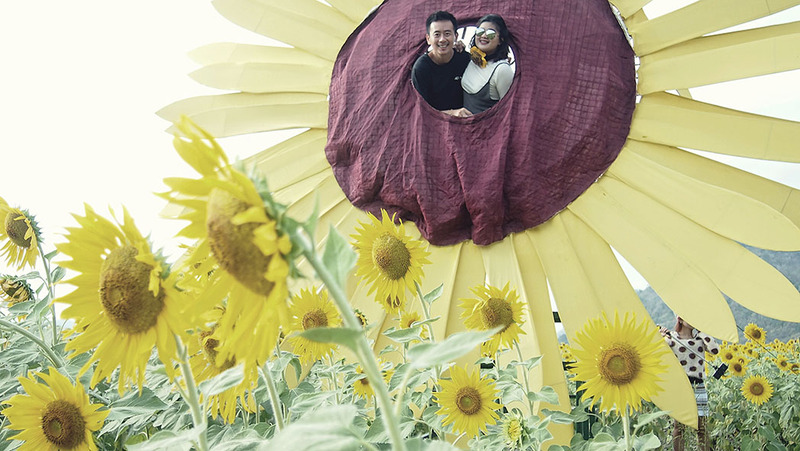 Over the new year, my better half and I were lucky enough to have travelled to Lopburi, a province 150 kilometres north-east of and two hours from Bangkok, to visit its very magnificent sunflower fields which not many foreign tourists know exist and talk about. 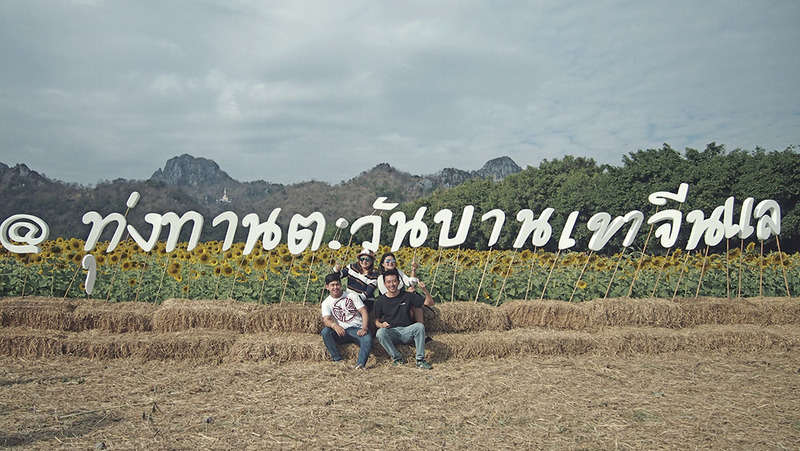 We actually drove all the way to Lopburi from Chumphon – the province I’m working at, so it was a great convenience for us. As for the downside, the almost 600km (8-hour) journey cost us over over 1,000 Baht in petrol. So going back and forth would cost over 2,000 Baht. However, it comes down to where you’re actually departing. If you’re travelling from Bangkok, a mini van ride can cost as cheap as 110 Baht. One can opt for the cheapest option, which is to travel by train. The Stat Railway of Thailand offers as many as 16 daily train trips from Bangkok to Lopburi, with three services to choose from: ordinary, rapid, and special express. Most lines from the ordinary trains provide free rides for the locals; foreigners, however, will have to pay perhaps a few tens of Baht for the same service. The seats are limited, so if they’re occupied, it’s only fair that you have to resort to standing in the aisles on this free service. Special express trains are the most expensive, but they’re a lot faster and more comfortable than ordinary and rapid trains. 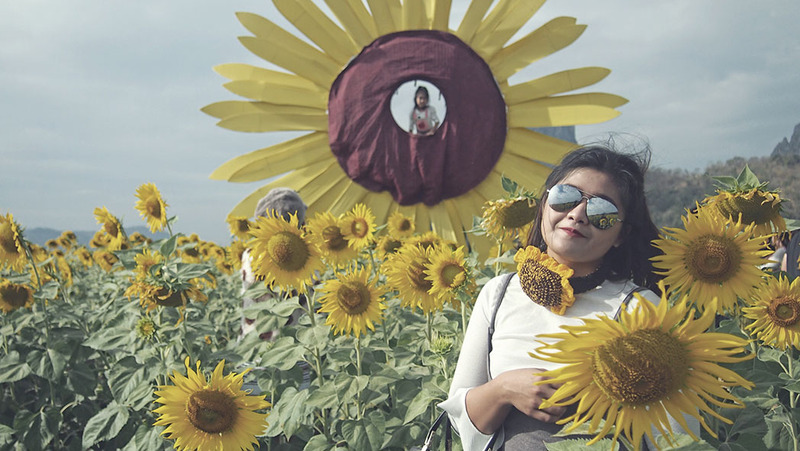 From the city center of Lopburi, if you don’t have your own transport, perhaps the most sensible option is to take a cab to the sunflower fields area since it is quite a distance away. 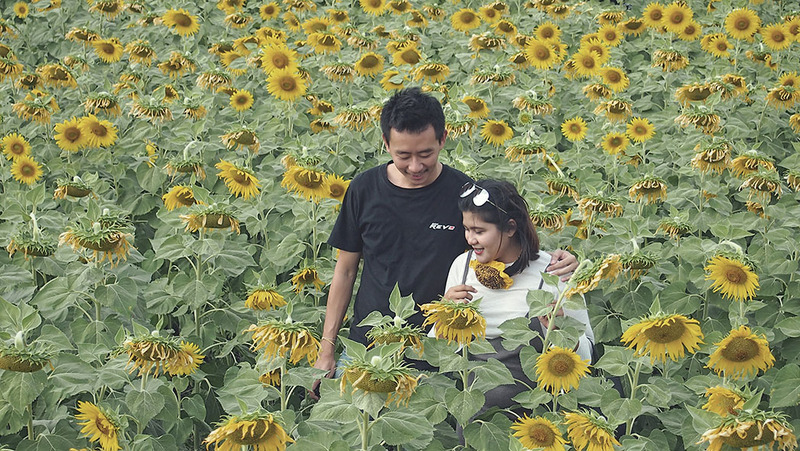 There are several flower and sunflower fields in that area. Some may charge a small entrance fee, but others don’t. 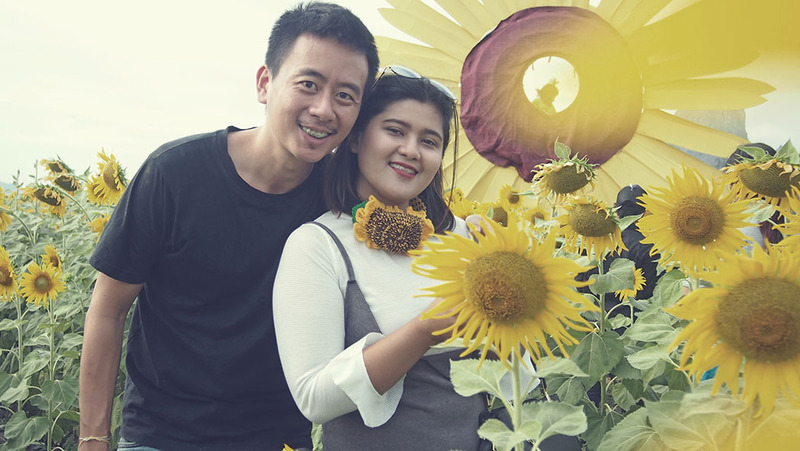 We went to a flower field before proceeding to the famous Khao Jeen Lae Sunflower Field, paying nothing but a reasonable parking fee of 20 Baht. 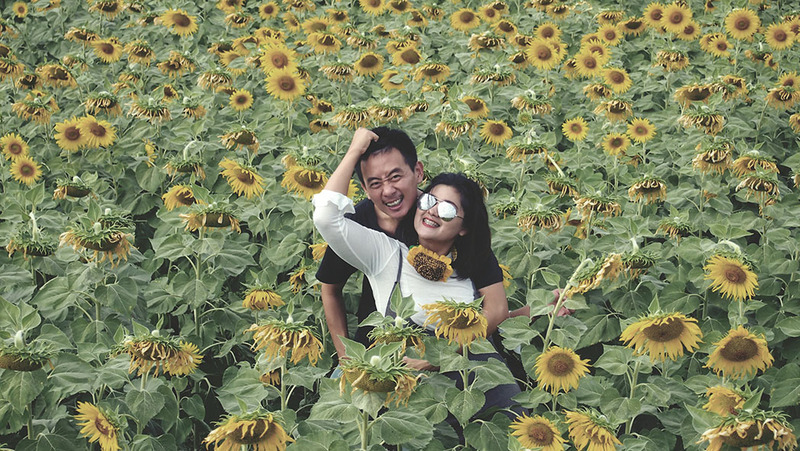 Do keep in mind that the sunflowers at the sunflower fields of Lopburi only bloom through November to January, so you may want to avoid going there any other time during the year. Some people who saw the photos asked me if the flowers were real. They were. In fact they were the biggest I’d seen in my entire life – so big they looked like they could eat you alive!